Seeing something that isn’t there can be one of the strangest, frightening, and baffling experiences a person can have. But scientists at the University of Oregon say they’ve come a bit closer to understanding what happens in the brain when we hallucinate—and all they had to do was trip out some poor mice. Given that mice aren’t known for their sparkling conversation, you might assume that we couldn’t to use them to study hallucinations. However, according to study author Cristopher Niel, a biologist at the University of Oregon, they can be an admittedly imperfect proxy for people. We know, for instance, that a subtype of serotonin—the neurotransmitter that helps regulate our mood, memory, and appetite, among other things—called serotonin 2A is directly affected by hallucinogenic drugs like LSD, and has been linked to visual hallucination in humans. And when you give mice these sorts of drugs, there are reliable changes in their behavior, like a strange head-twitch response, that indicate something similar to what happens to us is happening to them. Neurologically, these changes also appear to involve their serotonin 2A receptors. 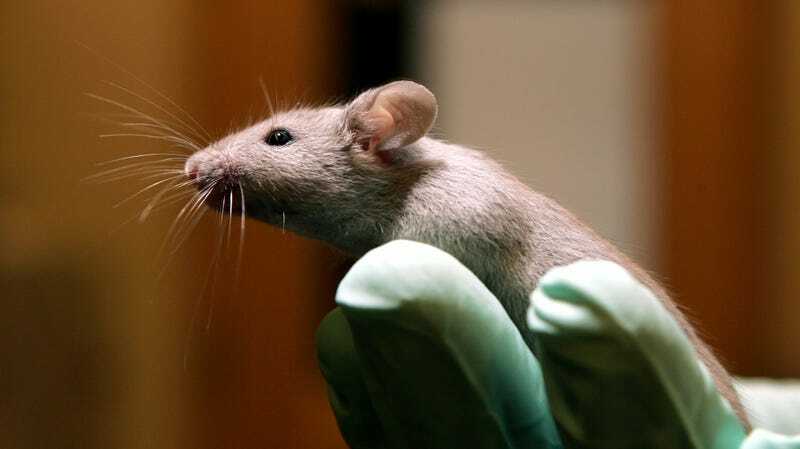 For their experiment, they dosed mice with a drug called 4-iodo-2,5-dimethoxyphenylisopropylamine (DOI). In people, DOI’s psychedelic effects are similar to those of LSD. 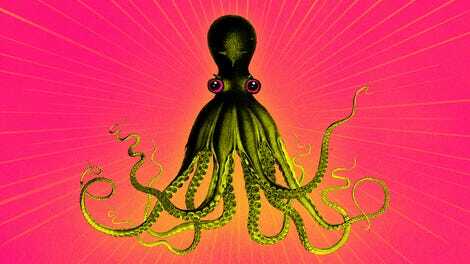 Unlike LSD, it’s not a scheduled controlled substance in the U.S., making it easier for scientists to obtain and use in animal research (recreational human use of DOI isn’t unheard of, but is much rarer than LSD use). Veering from previous animal studies of hallucination, they were also able to study the mice while awake, thanks to implanted monitors that could track the firing of individual neurons. Their findings, published Tuesday in Cell Reports, were somewhat surprising. Rather than seeing frantic brain activity in the visual cortex, the area that processes the information the eyes take in, they found that the brains of tripping mice were actually taking in less information from the outside world, compared to a control group of mice. Niel pointed out that this misinterpretation by the brain routinely happens to us when there’s little or no visual information being taken in, such as when we’re dreaming or think we can see the faintest shadow of something creepy in the dark. More tragically, of course, people with mental disorders like schizophrenia deal with intrusive distortions of their visual reality. But serotonin 2A has also been closely linked to schizophrenia, and understanding how exactly hallucinations happen in these individuals may let us someday figure out how to short-circuit that process. Given that psychedelic drugs are now being studied for their effects in treating depression and anxiety, that same knowledge could also help us gain insight into how these drugs interact with the brain. Those are areas of research outside of Niel and his team’s direct expertise, though. And he’s quick to caution that his findings, even if they hold up in future studies, are only uncovering a piece of the brain circuitry that’s involved in visual hallucinations. Aside from suppressing neural activity in the visual cortex, for instance, they also found that the timing of when neurons fired was different in DOI-dosed mice. So there’s almost certainly more than one change going on in the brain when we visually hallucinate, and possibly in areas outside of the visual cortex. The team next hopes to use genetic manipulation to better study and isolate the circuits thought crucial to processing and interpreting vision.